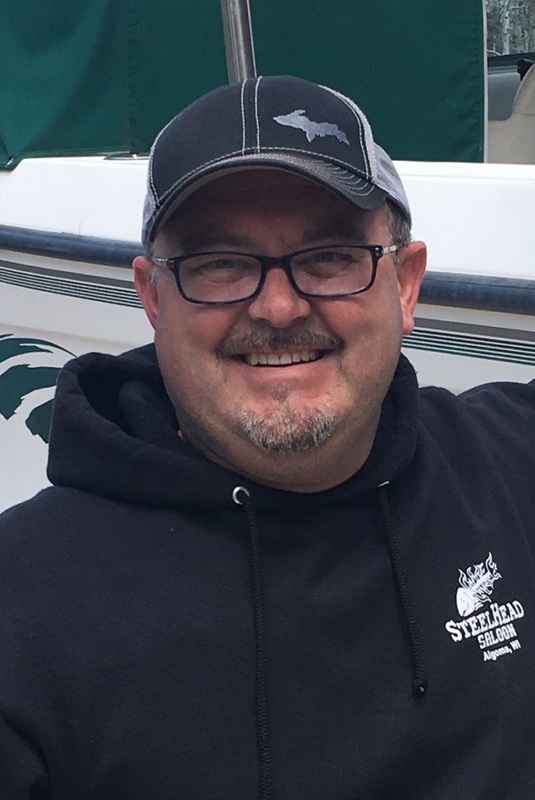 Paul “PJ” Edward LeClaire Jr, age 49 of L’Anse, MI passed away on Saturday, March 23, 2019 at his home with his family by his side after a courageous battle with cancer. He was born December 20, 1969 in L’Anse, MI son of Paul and Ann (Erickson) LeClaire. PJ graduated from L’Anse High School in 1988. He was married to Kim Brown and later married LeAnn Kahkonen Froberg on August 1, 2015. PJ was a man who worked hard as the owner & operator of LeClaire Logging and for 12 years of public service to the Township of L’Anse. He also was a man who believed in playing hard and enjoyed spending time with friends and family, hunting, fishing, and golfing. PJ loved being active and, in the woods, from trapping chipmunks and three-wheeling when he was young to making his living logging and hunting bucks with his wife as a man. He enjoyed playing hockey growing up and shared his enthusiasm with the next generation as coach for 7 years. He shared his joy in fishing in every season with the people he cared about, from going ice fishing in the winter and encouraging Bailey to land her big fish out in the boat at dawn in the summer. It was clear that sharing them with his friends and family that made his activities complete. He was devoted to his wife and loved her entirely. He opened his heart and made a place inside it for those who’s lives intersected with his. That generous spirit is an example of what a friend and father should be. We are all grateful for everyday that he spent with us. His big smile and optimism brightened every room he entered, enlightened every life he touched. Surviving are is wife LeAnn LeClaire; parents Paul and Ann LeClaire; step children Bryant and Bailey Froberg all of L’Anse; brother Jarod (Elin Raisanen) LeClaire; maternal grandparents Donald and Elaine Erickson; numerous nieces, nephews, aunts, uncles, cousins, and friends. Preceding him in death are his paternal grandparents Louis and Ethyl LeClaire; uncle Bob Erickson; uncle Louis LeClaire; and cousin Jon LeClaire. Visitation will from 4-7:00 p.m. on Tuesday, March 26th at Jacobson Funeral Home. A memorial service will be held at 7:00 p.m. at the funeral home with Rev. John Ansell officiating.